• Often confused with a Gucci Mane mixtape of the same name, the Bird Flu is in fact a terrible sickness. First identified in Hong Kong in 1997, it wiped out millions of chickens in a few countries before killing 243 people globally. KFC, anyone? Oprah&apos;s got coupons! • This mosquito-transmitted virus spread to the Western Hemisphere in 1999 and claimed over 500 lives in the U.S. alone. Michael Moore&apos;s Bowling For Columbine mocked the media coverage surrounding the virus, and its alleged ties to Western Africa. It&apos;s safe to assume insect repellant companies made a killing. • In early 2003, images of people rocking surgeon masks flooded primetime TV, as we learned about this cruel form of pneumonia, which essentially suffocates an individual to death. After spreading to over 37 countries within weeks, SARS took 774 lives globally with about 8100 cases of infection. 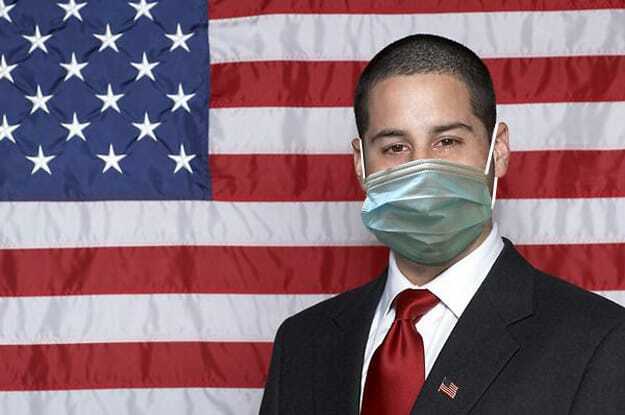 By &apos;06 it was deemed tame, but the ineffective surgical masks were here to stay. • The feds actually declared a public health emergency two weeks ago to ramp-up awareness of this latest virus. Who knew? Not to belittle the seriousness or anything, but swine flu has claimed 27 deaths worldwide this year, while 43,000 people die annually from car accidents. One theory is that this "Mexican flu" is a distraction for Mexico&apos;s current political situation - namely, the recent legalization of drugs. But it&apos;s fair to say, "dope-sickness" is a global pandemic.